Delirium tremens (often referred to as DTs) – these can cause very serious complications without adequate treatment. Do you or someone you know drink larger amounts or for longer than intended? Do you or someone you know want to cut down or stop drinking but can’t? Are you or the person in question unable to manage responsibilities at work, home, or school because of their drinking? Do you yourself or someone else continue to drink, even when it causes problems in relationships? Have you or someone you know given up important social, recreational, or work-related activities because of drinking? Does the person in question drink continuously, even when it puts him or her in danger? Have they developed withdrawal symptoms, which can be relieved by drinking? If a majority of the responses to the question above are yes, it might be time to seek professional health as chances are that the person in question might, in fact, be suffering from an addiction to alcohol. As with any other medical condition, the faster that you seek professional help, the more you are increasing your chances of making a full recovery. 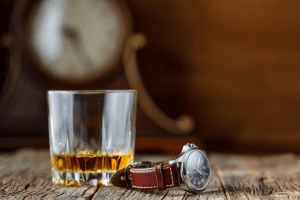 Alcohol detox can be scary, especially with the information that was stated above, however, even the severe withdrawal symptoms can be properly monitored and addressed by health care professionals while you or someone you know detox alcohol. Alcohol detox is just the initial stage of treatment, and when properly done will leave a patient ready to move on with their journey to recovery. After the detox from alcohol, services such as therapy: both family and group will help address a person’s addiction to alcohol by helping them realize the cause of their addiction and also address what services will be beneficial for their own recovery. Help isn’t far away, and the fears associated with detox shouldn’t be enough from getting your life back on track.